MainAll NewsDefense/SecurityPhone Call from Mashaal Exposed Deif's Location? Phone Call from Mashaal Exposed Deif's Location? Reports in Lebanon say Khaled Mashaal wanted Mohammmed Deif's opinion on ceasefire and called him, giving away his location. According to Lebanese news outlets quoted by Israel Hayom Thursday, a telephone call from Hamas political bureau chief Khaled Mashaal to military wing chief Mohammed Deif inadvertently gave away the latter's location in a home at the Sheikh Radwan neighborhood in northwest Gaza, and enabled the home's bombing by the IAF last night. The reports say that the phone conversation took place shortly after a meeting in Doha, Qatar, between Mashaal and Palestinian Authority (PA) head Mahmoud Abbas. A senior Palestinian source said that Mashaal was under pressure to accept the Egyptian ceasefire proposal and wanted to consult with Deif. Possibly due to the pressure he was under, Mashaal broke the rules of secrecy that help keep Deif's location secret and called him, thus making it possible for Israeli intelligence to pinpoint Deif's whereabouts and bomb the building he was in. 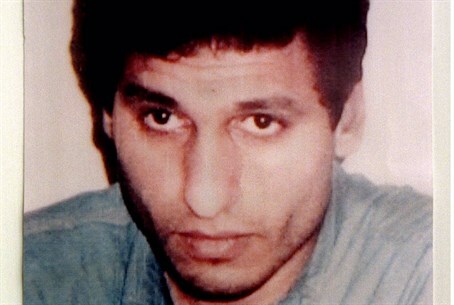 While an Israeli official has been quoted by Fox News as saying Deif was dead, Hamas insists he is unhurt. Hard hit by the IDF, Hamas's military wing in Gaza has reportedly been pressing the political leadership to accept a ceasefire, but Mashaal, who operates from Qatar, has been refusing to do so. A senior member of Palestnian Authority (PA) Chairman Mahmoud Abbas's Fatah faction said Wednesday Hamas's choice to forego the Egyptian truce proposal and return to its rocket war on Israel was due to Qatari pressure. The Fatah source, quoted in the Arabic Al-Hayat and cited by Yedioth Aharonoth, noted that Egypt refused to allow Qatar to play a role in the Cairo ceasefire talks, stipulating that Qatar apologize for its policies towards the Nile State since Muslim Brotherhood member and former Egyptian President Mohammed Morsi was deposed last July 3. Qatar is the leading sponsor of the Muslim Brotherhood, of which Hamas is the Palestinian offshoot. The Fatah source added that Qatar threatened to expel Mashaal, saying it would "force him to leave," if Hamas agreed to the Egyptian truce proposal in its current structure.